Originally published under the title "The Middle East Will Remain a Source of Terrorism." The collapse of the Arab state system and the rise of political Islam have entrenched the Middle East as the major source of global terror. Several major developments in the Middle East will keep the region a wellspring of Islamic terror and a source of inspiration for Islamist radicals for the foreseeable future. Attempts to perpetrate acts of terror against the "enemies of Islam" should be expected to continue. The Middle East will be a wellspring of Islamic terror for decades to come. A critical historic trend in the Middle East that is feeding the terror phenomenon is the rise of political Islam. Islamic identity is deeply entrenched in the region, making the population susceptible to Islamist messages couched in traditional content. The Islamists have also capitalized on the Arab states' inability to deliver decent services to their citizens by establishing educational networks as well as health and social services. 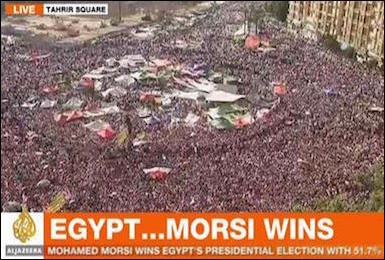 When free elections are allowed in the Arab world, Islamist parties do very well. This has been a winning strategy for them, in that it has allowed them to capture popular support. When free elections are allowed in the Arab world, Islamist parties do very well. However, most Islamists are anti-modern and anti-Western. Radical Islamist circles advocate violence and terror in the interest of installing "true Islam," first in Muslim lands and eventually everywhere else. Islamists despise "the decadent West" and believe it will inevitably fall under Muslim rule. The wealthy, maverick state of Qatar also supports a variety of radical Islamist organizations. It even hosts an Afghan Taliban "political office" on its soil. 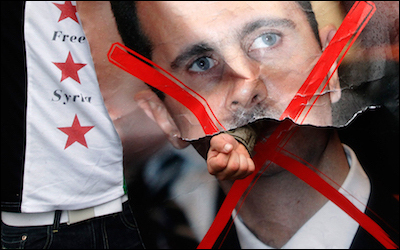 The "moderate" Arab states grapple with the Islamist challenge. In the largest and most important Arab state, Egypt, the most potent political force – the one able to bring multitudes of supporters into the streets – is still the Muslim Brotherhood. Moreover, Egypt faces an Islamist insurgency in the Sinai Peninsula. 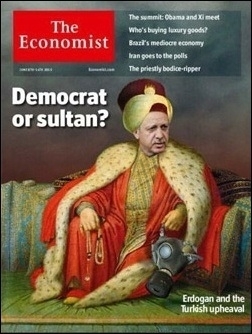 The June 8-14, 2013 cover of the Economist summed up Turkey pretty well. The two strong non-Arab states in the Middle East (excluding Jewish Israel), Iran and Turkey, also display Islamist tendencies. Following the 1979 Islamic revolution, Iran adopted a radical Shiite program intertwined with Persian imperialist ambitions. Its quest for hegemony in the region was abetted by the ill-advised nuclear agreement with the US, which was not linked to any changes in Iranian international behavior and freed great amounts of money for Iranian mischief. The modus operandi in Tehran includes terror, and Iran remains on the Americans' list of state sponsors of terror. Turkey under Erdoğan, particularly after the botched military coup, is increasingly authoritarian, with stronger domestic pressure being applied to urge conformity with the mores of the Turkish version of the Muslim Brotherhood. Turkey's international behavior is imbued with neo-Ottoman and Islamic impulses. It lends support to Islamist factions in the Syrian and Libyan civil wars (including IS) and to Hamas in Gaza. It is also involved in the Balkans, particularly in the Muslim states (Albania, Bosnia and Kosovo). The Middle East, more than any other region in the world, is beleaguered by religious fanatics ready to use violence indiscriminately against people who do not adhere to the "right" religious approach. These zealots have a great deal of energy, and many frustrated Muslims are ready to blame their miserable predicament on the West. The West can do little to change this situation. Change must come from within. The ambitious attempt to "fix" Iraq and Afghanistan, which consumed immense amounts of blood and treasure, yet ended in failure, suggests the limits of political engineering. A region caught up in historic trends like those experienced by the Arab states cannot easily change.